Medli’s Melodies: Zelda Dungeon Medley by Super Guitar Bros.
Dungeon themes in Zelda games are usually outshone by the series’ more uplifting melodies. Similarly, the original Zelda games often lurk in the shadows of their more contemporary counterparts. But a recently released classical guitar medley throws a much deserved spotlight on the dungeon themes from the first three Zelda installments. They brilliantly capture the beauty and eeriness that served as the backdrop to early fans’ explorations of Hyrule and its many keeps. Medli’s Melodies is a series in which we choose our favorite songs from The Legend of Zelda franchise, or highlight a special piece of music from the perpetually creative fan community. 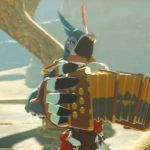 Music has always such been such an integral component of Zelda games, and we’re here to celebrate that every week! Super Guitar Bros., a duo of acoustic classical guitar players that cover video game music, start out their medley with A Link to the Past‘s Light World Dungeon Theme. True to the original, the tune begins with a slow, discordant intro that sets an intensely ominous tone. Suddenly, the volume and pace pick up, driving into the main melody. Notice how the the guitarist on the left is playing both the lead and a repeating sixteenth note rhythm. These guys are seriously talented. At about the 1:52 mark, the duet transitions to the Dungeon Theme from the original Legend of Zelda. The first time through, the melody is accompanied by sparse chords. On the second round, they add underlying sixteenth note arpeggios to create a sound like the original version. Round three adds a nice backbeat to give the tune a rock feel. It’s almost too hot to handle when they play the dual ascending arpeggiated lines. Someone throw some cold water on me! Next up, at about the 2:55 mark, our virtuosos jump into the Palace/Temple Theme from Zelda II: The Adventure of Link. Although it has always been a great song, we have Super Smash Bros. Melee to thank for a rise in this tune’s popularity. The performers again amaze with rapid arpeggios under the soaring melody. As the song progresses, driving rhythms played on the accompanying chords give the tune a Spanish flare, until it eventually dies down and ends the epic medley on a lingering minor tonic. Super Guitar Bros.’ videos are always fun to check out because you can be sure to hear a spot-on rendition of classic video game tunes, executed with technical precision without surrendering musicality. No frills here: just raw talent performing well-arranged music beautifully. Dungeon themes in Zelda games may not get the attention that other themes get, but they are just as important to the experience. They set the mood for the darker portions of the game, serving as a necessary contrast to the lighter tunes. I’m glad Super Guitar Bros. felt the same way and superbly highlighted these early dungeon themes.